An email newsletter was sent out last night to our small but growing number of people who have signed up to receive email updates from Max's Ring of Fire - to view the newsletter you may click here. If you'd like to get your updates on Max's Ring of Fire via email, you can sign up here. Otherwise, if you're a "fan" of us on Facebook you'll get updates there - and if you're on Facebook but not a fan of Max's Ring of Fire yet, here's the link for that too. And we'll continue to post updates on our progress with Max's Ring of Fire here on Max's blog. Thanks to everyone for all your support. I found your website by actually searching in google. I must have typed in Univ. of Vermont and some how it brought me to you. A quick background: My little sister Alexa is battling recurrent medulloblastoma we are looking into the Nifurtimox trial phase II. It looks as though you all think very highly of Dr. Sholler. We live in Ohio but are willing to go wherever we can to help Alexa. We think Alexa might be the first medullo. patient to enroll. If you have a few spare minutes could you email me about anything you know about Univ. of Vermont and Nifurtimox? I am so very sorry for your loss. 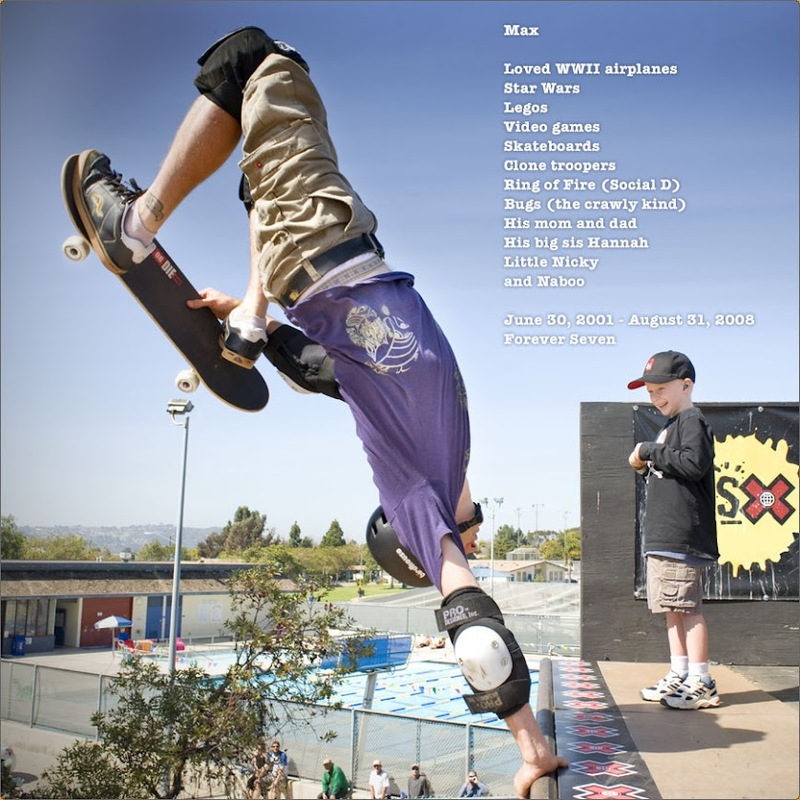 Max is an inspiration to all.